The new pump factory in Suzhou, about 100 km west of Shanghai, sees Sulzer Pumps bring its most advanced engineered pump technology to China. The 23 000 sq m Sulzer plant includes a factory shop floor with three production bays, a test bed with eight test-bed stations and a total power supply of 15 MW. The Suzhou plant currently employs 110 people. Engineering and procurement teams have been working on several major orders for some months and manufacturing has recently started. Sulzer expects ISO certification for the new plant early next year. The Suzhou factory is Sulzer Pumps’ second major production facility in China. 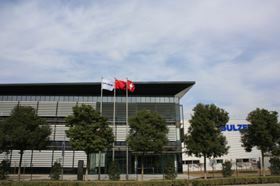 Sulzer already has a pump factory in Dalian, which opened in 1999.